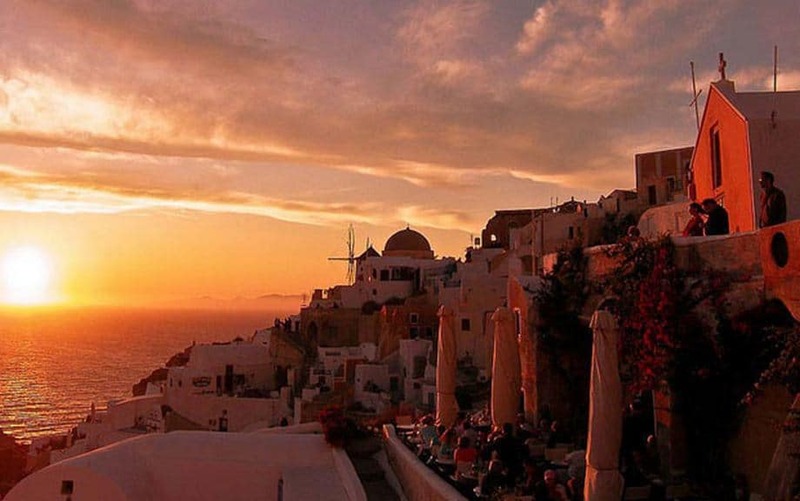 Santorini is famous for its sunsets all over the world. Rainbow skies are not the exclusive privilege of the summer season. Winter in Santorini also surprises and delights local residents and chance visitors to the island. Magnificent ribbons of colour streak across the sky, stretching from north to south as far as the eye can see. A favourite sunset watcher point is in Oia, in the Castle area. Oia is one of the most photographed places in Greece, if not the world. It has inspired artists, poets and every visitor who visits Santorini. 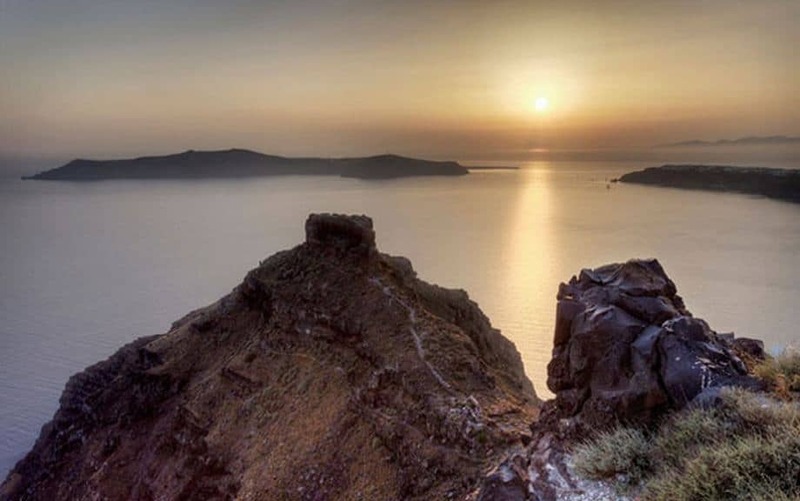 Although Oia is best known for breathtaking sunsets; if truth be told, sunrise in Oia is also magical. Another wonderful place to go to enjoy the sunset is Pyrgos Village, an EU protected settlement. There is a wonderful bar café called Franco’s that serves cocktails and all kind of refreshments – from there you can enjoy your Santorini sunset to the sounds of opera and classical music. Perhaps the best view of the whole island is from Pyrgos, since it at the highest point on the island. Another great spot to watch the sunset is in Akrotiri. More remote and far quieter than other areas, Akrotiri is definitely an excellent sunset point. And of course we shouldn’t forget more accessible areas such as Fira, the capital, Firostefani and serene Imerovigli. 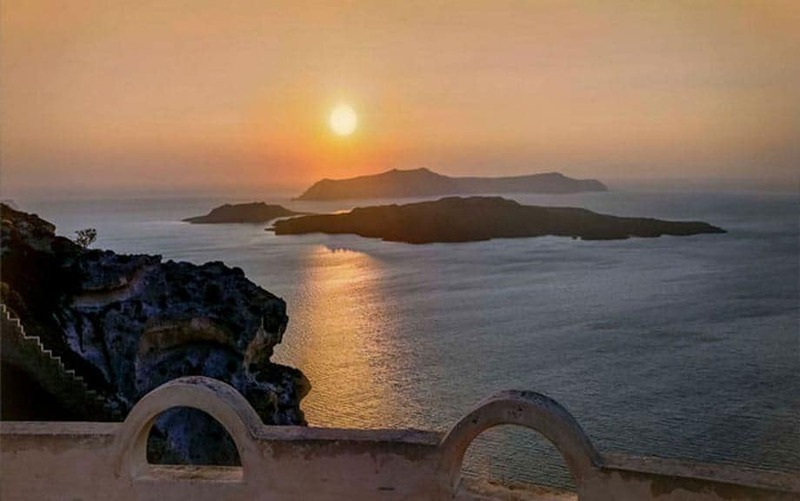 If you are a sunset fanatic, Santorini is the place to be!